Would you like to fly – to soar high above the trees and people below you? Well, now you can. 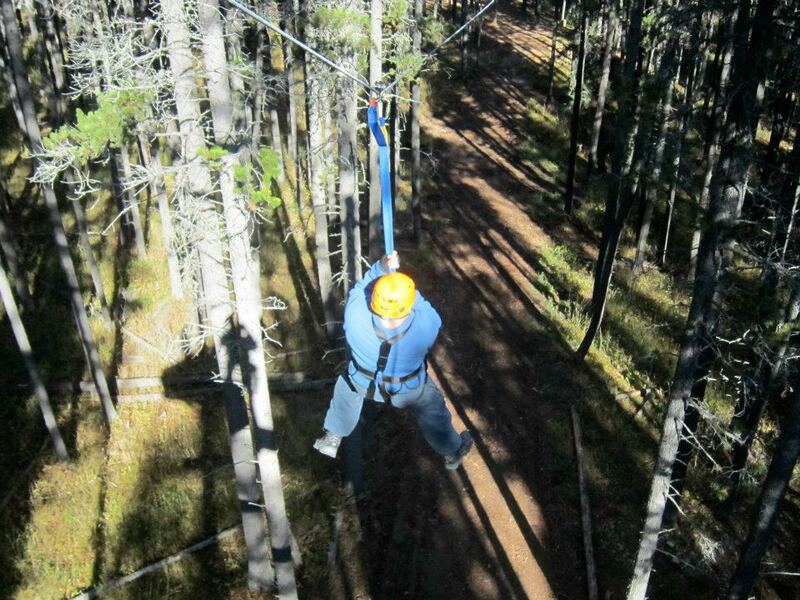 Cypress Hills Eco-Adventures opened the first canopy zipline tour on the Prairies in 2011. As the first zipline in North America to operate inside a provincial park, Cypress Hills Eco-Adventures has deliberately chosen to hold itself to exceptionally high standards. Jori Kirk, the zipline’s founder, wants to do more than simply provide people with a chance to enjoy Cypress Hills Interprovincial Park. He’s set up a low impact, low energy operation and hopes that his business can act as an ambassador for the park and an advocate for nature. Set amidst the flat sprawling grasslands of southern Saskatchewan, Cypress Hills Park is a forested oasis. As a child, Jori spent his summers at a cabin in the park. He grew to love the area and wanted to share it with others. As part of his degree in Marketing and Tourism at the University of Calgary, Jori drew up a variety of feasibility studies for outdoor businesses. He wanted to provide an engaging activity that would empower people and help them to experience nature in a guided, controlled environment. Ziplining, originally the domain of pirates or research scientists exploring the rain forest canopy, seemed like the perfect option. The zipline includes six lines and an 80-foot sky bridge. It may appear daunting at first to climb 45 feet above the forest floor and to launch yourself into space, but the tour guides provide harnesses, helmets, and lots of encouragement. Participants during the first season ranged in age from 4 to 84. Even a dog has enjoyed the final line. A 32-foot climbing wall and slacklines provide additional opportunities for fun on the ground. New this season will be a mini kids’ area and a ground challenge course that families, school/camp, or corporate groups can complete together. The tours have proved so popular that the company is hiring additional staff and doubling their capacity to twelve, two-hour tours a day. Jori also plans to offer winter tours in 2012-2013. “We’ll pick a few weeks during the winter and see if we can have some fun in the snow,” he says. All the activities have been designed to be low impact. The climbing wall is on a trailer, and the slacklines are strung between trees and loosened every day so that they don’t damage the bark. The office is set up in a yurt, and there are no pilings. 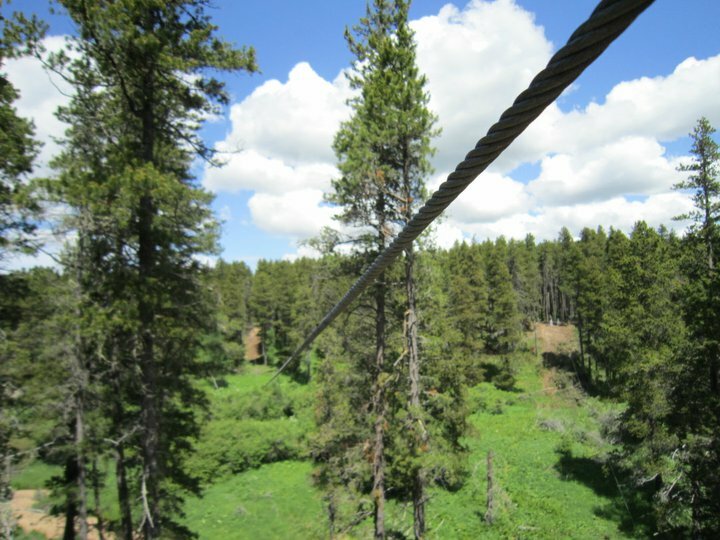 The zipline uses utility poles that blend in with the surrounding lodgepole pines, and the company has taken advantage of existing trails as much as possible. Power usage during construction and operation of the site for the first season used exactly the same amount of energy as running a fifth wheel trailer for that duration. Staff walk or bike to work. “99% of eco tours are just greenwashing,” Jori says. “As we move forward, we’ll focus on being advocates for nature and conservation.” The first step has been to join organizations, such as Leave No Trace Canada and the Native Plant Society of Saskatchewan. They’re helping to promote these groups by listing them on their website, which had over 42,000 visitors in 2011. More active involvement will follow. “We have a duty to protect the park and to help people experience and gain a respect for nature,” Jori says. For example, Chet Neufeld, the Executive Director of the Native Plant Society of Saskatchewan, will be visiting their site this summer. He’ll go over the site with the staff, identifying native plants and invasive species, and suggesting ways in which they can improve the site. 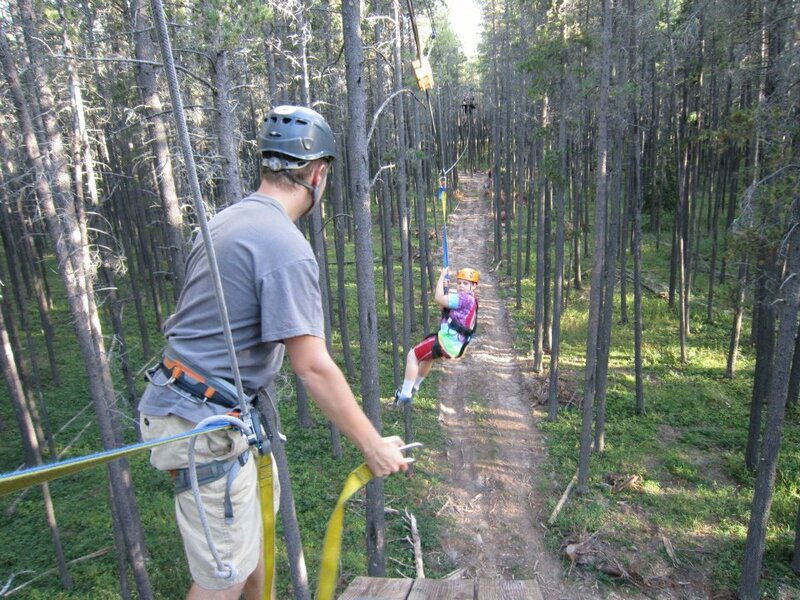 If you want to fly high and free above the forest floor, book a tour online now and take advantage of the many different options – from slackline lessons for beginners to zip and sip tours that combine a zipline tour with a visit to Cypress Hills Vineyard & Winery. Cypress Hills Eco-Adventures will be open for business on May 1, 2012. This 12-minute video showcases the fun - and even romance - of the zipline.